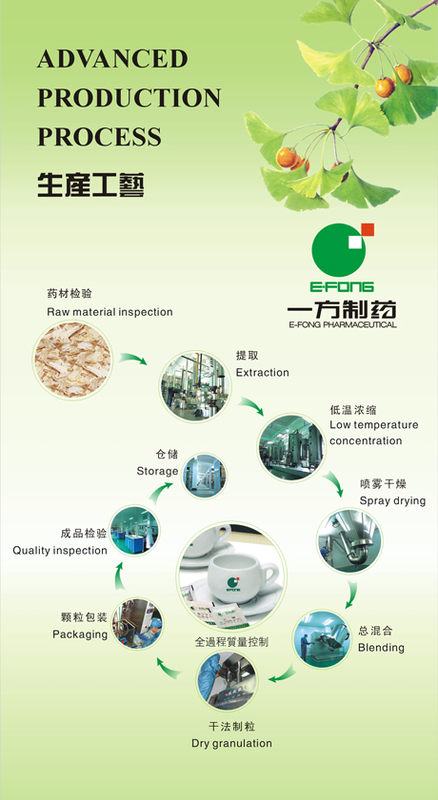 E-Fong strictly manages quality control in accordance to GMP standards and FDA regulations using modern fingerprint analysis technology carried throughout the entire production and quality control process from raw materials, semi finished products to finished products. As accordance to requirements of the Chinese Pharmacopoeia, comprehensive production inspection and testing is also preformed of raw materials, extract, and finished products. Testing includes: tests of identification, true or fake identification, active ingredient content, heavy metal, pesticide residue, and aflatoxin. All testing represented in COA (Certificate of Anaysis). 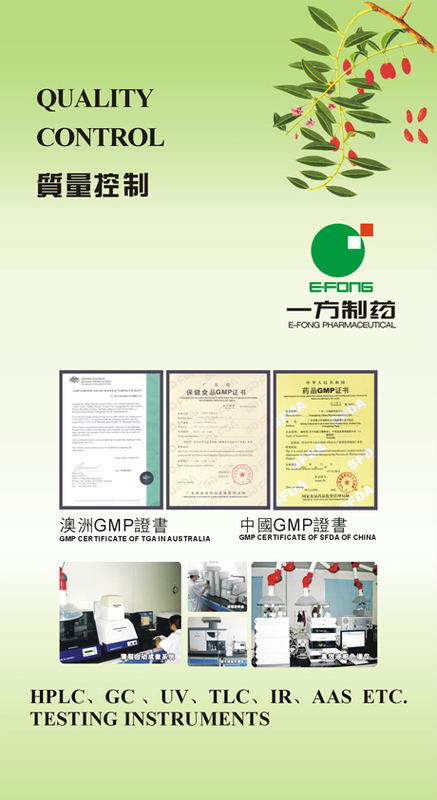 E-Fong has earned the Certificate of Good Manufacturing Practices (GMP) in China and Australia. E-Fong was the first company to process concentrated herbal products and was assigned as a production base for concentrated herbs by the State Administration of TCM and the State Drug Administration in the P.R. China. Relying on the strong R&D support from Guangdong TCM Research Institute, E-Fong have produced the 600 TCM standardized single granules, 600 botanical extracts, 160 TCM traditional classic formulas and herbal teas, etc.